How would you read back that clearance? What’s missing in this paragraph? There’s no mention of airspeed! I supposed you could argue that the AIM does include airspeed if you focus on its mention of vectors. Technically, vectors are a combination of direction and velocity. Although, the AIM provides this definition of vector in its Pilot/Controller Glossary. Um. So much for the heading and airspeed argument. I guarantee you, if Tampa Approach says, “Cessna 30D, maintain 130 knots,” and you respond with your call sign only, Tampa Approach is going to insist on a readback of your speed assignment. Citing the appropriate passage in the AIM to the controller is not going to help your cause. Good, right? After, all the AIM tells you to read back “the numbers”. Excuse me. I’ve got to go take some antacid for my AIM heartburn. Okay, I’m back. The AIM says, “The read back of the ‘numbers’ serves as a double check,” blah, blah, blah. What the Government meant to say was, “The read back of the ‘numbers’ plus the applicable unit,” blah, blah, blah. Let’s put it in context. Does that conform to AIM guidance? Yes it does. Is it a smart readback? I don’t think so. Will he turn to 180 degrees or 170 degrees? Will he maintain 170 knots or 180 knots? Who knows? A safe and coherent readback does not generate question marks. Good stuff? 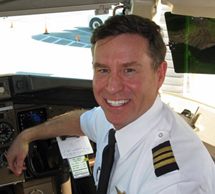 There’s more in my new book, Radio Mastery for IFR Pilots, available soon at Amazon.com. Thank you for a good question. The problem you mention is very common. You’ll find most ATC clearances are given in a specific pattern, such as the PTAC pattern I described for a final approach clearance. Knowing these patterns helps with anticipation and memorization. Even now, after 35+ years of flying, I still occasionally have trouble mentally holding on to complex clearances. For this reason, I usually write down clearances in some manner or another. How you do this depends on what you have at your fingertips in the cockpit. For example, when given a heading clearance, I “write” the clearance by spinning the heading into the heading window of my aircraft’s autopilot. Or, if not on autopilot, I “write” it by placing the marker bug on my heading indicator to the cleared heading. For taxi clearances, when I have the luxury of writing on paper while the aircraft is stopped, I use a series of shorthand notation to record the clearance. I’ll have a complete description of taxi shorthand and other recording techniques in my upcoming book on IFR radio comm. 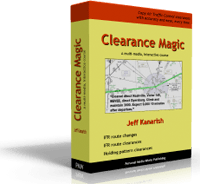 The book also has a bunch of other exercises to help you remember clearances. That should be available at Amazon.com in the next week. I’ll announce its availability via atc_jeff at twitter.com, my free ATCcommunication.com newsletter, and at this website.